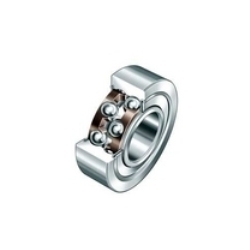 We are the leading supplier and dealer of Ball Bearings in Chennai.We trade and supply Ball Bearings from chennai to all over Tamil Nadu, Andhra Pradesh, all states in Indai and Exports.We are into trading and supplying a qualitative range of Ball Bearings. 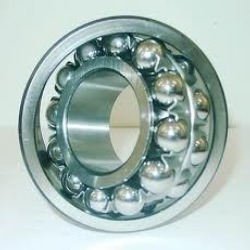 These Ball Bearings are help in depreciating the rotational friction and support radial and axial loads. Available with sphere raceway in the outer ring and a double raceway at the inner ring, these Ball Bearings products are capable of operating at high speed. Suitable for carrying axial as well as radial loads, these products accommodate radial and thrust loads and are capable of operating at high speed. 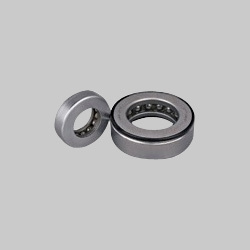 Available in various sizes and dimensions, these Ball Bearings products are highly demanded by the customers owing to their excellent performance, superior quality and longer service life. We are instrumental in offering our clients with pillow block bearings that are widely used in agricultural machinery, conveying equipment, and construction machinery. These comprises deep groove ball bearing sealed on both sides and a spherical outside diameter together with housing, which is either a casting or a sheet metal stamping. In these bearings, the units are supplied as plummer block or flanged housing mountings and the pillow block bearings helps in covering the current units for metric and inch size shaft. 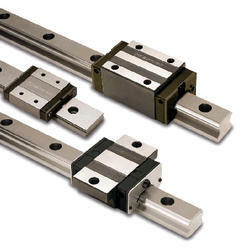 THE Selecting linear slides and linear stages requires an analysis of axis configuration and travel specifications. Single-axis systems have only one carriage or saddle and move along the X-axis. By contrast, vertical lift devices move along the Z-axis. Some stacked or coupled units, referred to as multi-axis positioning systems, move along two--usually orthogonal--axes in the X-Y plane. Others include one carriage that moves along the X-axis and another carriage that moves along the Z-axis. Three-axis systems provide motion in three orthogonal axes. Important travel specifications for linear slides and linear stages include X-axis linear travel, Y-axis linear travel and Z-axis linear travel. We are the leading supplier and dealer of in Chennai. We trade and supply clutch bearings from chennai to all over Tamil Nadu, Andhra Pradesh, all states in India and Exports.We are one of the trusted name in supplying of clutch release bearings, which are procured from our reliable vendors. These are widely used in automobiles for controlling clutch conditions associated with the misalignment of components. The clutch bearings allow the engine and the gearbox to mantle and dismantle after releasing pressure. Our clutch bearings of superior quality come in varied dimensions depending upon the forces and speeds. 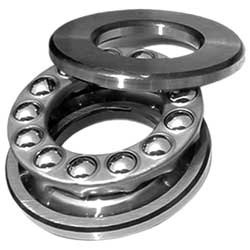 We are offering a wide range of Thrust Ball Bearing that comprises a blowout patch, a seat ring, steel balls and a holder. Extensively used to carry the axial load, these bearings are designed to meet the variegated demands of the customers. When we apply load to this bearing, the internal contact points get aligned on a plane which is parallel to the shaft. Owing to their excellent quality, robust construction and longer functional life, these products are highly appreciated by the customers. 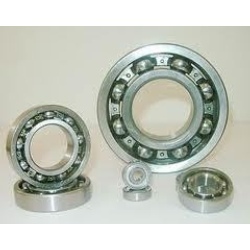 We are one of the eminent names involved in offering a qualitative assortment of Deep Groove Ball Bearing. Extensively used as radial bearings, these bearings are availed to the customers in a wide variety of seal, shield and snap-ring arrangements. Further, customers can avail these products to us at market leading prices. We are indulged in offering a commendable range of Self Aligning Ball Bearing which are availed to the customers with M brass cage and integral pressing steel cage. Extensively used to correct and adjust the mounting, shaft detection and other errors in the machines. Available in standard sizes, these products are highly known by the customers for their excellent features. We are offering a qualitative range of Angular Contact Ball Bearings to our esteemed clients. These are non-separable bearings that are extensively used in carrying both axial and radial loads. Further, it has raceways in the outer and inner rings displaced with respect to each other in the direction of the bearing axis. 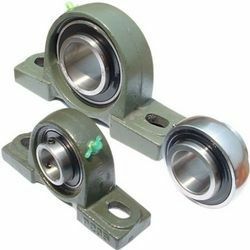 In addition to this, these bearings have one low and one high shoulder on each ring that allows it to incorporate more number of balls. 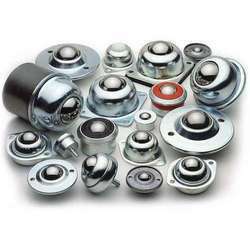 We offer a wide range of rolling bearing balls, which is manufactured using quality raw material. 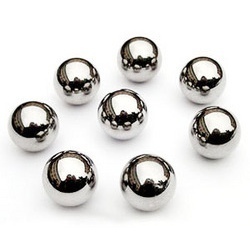 The salient property of the chrome alloy steel balls as the rotating element of ball bearings is abrasion resistance, impact strength and pitting corrosion resistance. However, the features highly depend upon the metallurgical characteristics of their raw material apart from the grinding and lapping results. Our professionals use only high-grade vacuum degassed chrome alloy steel wires that are fabricated in advanced electric arc furnaces. Moreover, all the steel wires are rigorously tested before approval for use as basic raw material. in addition to this, the steel balls are heat-treated in special continuous furnaces, which are managed under strict process control. A linear recirculating ball bearing and guideway assembly MGN consists of at least one carriage MGR on a guideway MGR. The unit has a full complement ball guidance system; the balls are in four point contact with the raceways. These linear ball bearing and guideway assemblies can take loads from all directions and moments about all axes. 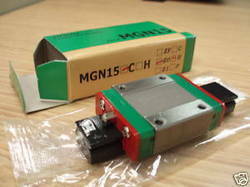 The elements of the linear ball bearing and guideway assembly MGN are interchangeable and can be combined as required. Carriages MGR and guideways MGN can be ordered separately. Looking for Ball Bearings ?